With 17 years of practice in the North Texas area, Dr. Eisenberg is relocating his medical practice to pursue a progressive and innovative approach to gynecologic care. Dr. Eisenberg ensures this move will not interrupt the care of existing patients and will allow him the resources to open his practice to new patients. 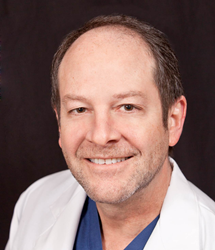 Effective April, 1 2015, Plano OBGYN Dr. Dennis Eisenberg will be moving his practice with North Texas Obstetrics & Gynecology Associates. This relocation will enable Dr. Eisenberg to pursue his progressive approach to women’s healthcare. With 17 years of experience in Plano, Frisco and Dallas communities, Dr. Eisenberg ensures this move will not interrupt the care of existing patients and will allow him the resources to open his practice to new patients. Dr. Eisenberg’s staff - Carla Self, Hilda Medrano, Dayna Vestal, FNP and Leslie Wistl - will also be changing locations. Although he will no longer be at the 15th Street office, he will maintain his Baylor Frisco and Baylor Plano locations. Dr. Eisenberg will have the same hospital privileges at Baylor Frisco, Baylor Plano and the Medical Center of Plano. Dr. Eisenberg’s spa practice, Medical Aesthetics of North Dallas will remain open at Baylor Plano. To ensure the most accurate and efficient accounting for patient records Dr. Eisenberg will implement a new computer system and patient portal. Dr. Eisenberg’s staff will help existing patients with the transition. Patients with questions or concerns, please call: 972-867-6400 or visit his website: texasobgynmd.com. Plano OBGYN Dennis Eisenberg, MD is on the cutting-edge of women’s healthcare. Dr. Eisenberg has been recognized as a D-Magazine Best Doctor in Collin County. As an early adopter of robotic surgery, Dr. Eisenberg obtained his robotic surgery certification in 2007. He is among few physicians in North Texas trained to perform advanced Single-Site da Vinci Robotic Surgery®. Dr. Eisenberg specializes in the treatment of pelvic prolapse, endometriosis, ovarian cysts and uterine fibroids.